Early reports say that only dual-GPU is officially supported. 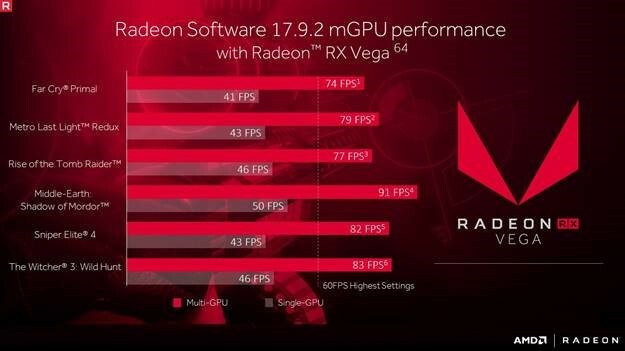 Read more on AMD's Radeon Software 17.9.2 driver enabling RX Vega Crossfire. Think they should focus on single and dual cards before they try to do 3/4 cards. I'd rather they focus in on improving a single card, but if they are going to do this I'd prefer just 1/2. Well, those ten people with two Vega GPUs are going to be happy.